Rooting the Google Nexus 5X device is great if you want to install more apps on your smartphone. Sometimes it feels funny using a device that you altered and you prefer going back to the stock ROM. For all those times with the Google Nexus 5X smartphone, you can install Wug’s toolkit that is suitable for the 5X variant and flash the stock ROM back on the device. By flashing a stock ROM back on our Nexus devices, we are able to then relock the operating system and stop those apps that require root access from running. Moreover, we can take things one step further and relock the bootloader of the device too. The following guide is teaching you how to unroot Nexus 5X devices. While the toolkit is useful for some other devices, it isn’t useful for all devices. It’s best you look up a unique guide for your device so you are using the right guide for your device. Check the model number of your Nexus 5X smartphone, since you will need to know it during the guide. You can find your model number by heading to the Menu > Settings > About Device and looking where it says the model number. Make sure you have the USB Debugging Mode enabled on the Nexus 5 X smartphone by heading over to the Menu > Settings > Developer Options > USB Debugging Mode. You’ll need to unlock the Developer Options menu from the Settings if you cannot see it when you scroll down the list. Do that by heading to the Menu > Settings > About Device and tapping over the build number 7 times. You must have a Windows PC to use this toolkit. Download the Toolkit for your Google Nexus 5X from this link . Open your default downloads location on the Windows PC and drag the toolkit file over to the desktop. Right-click over the file and choose to run Wug’s toolkit as an administrator. Connect the Google Nexus 5X device to the computer using the USB cable. Enter the model number of your device and click on the ‘Apply’ button. Choose your option from the toolkit’s user-interface. If you are stuck in a boot loop, check the box that says “soft-brick/bootloop”. Those of you not in a bootloop or soft-brick state should check the “device is on/normal” option. Click the button that suggest flashing the stock ROM/unrooting the device. Wait for that same stock ROM to get flashed on your device. 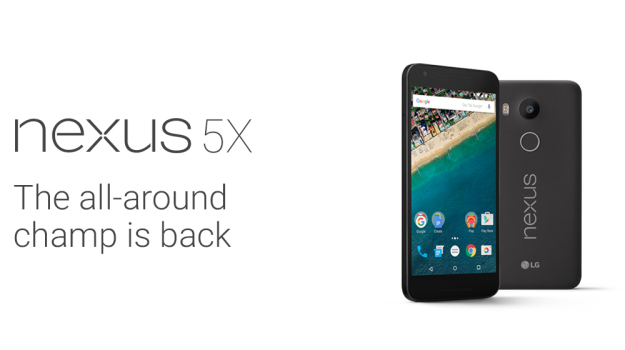 The Google Nexus 5X is now unrooted and your device is back in its factory state. You can choose to relock the bootloader from the toolkit’s options too! Once you have relocked the bootloader you are then able to send it away under warranty.